A survey was conducted on the most secure app, recently. WhatsApp and Facebook Messenger were declared toppers, with equal ratings. Check out the full report here! When it comes to messaging apps, protection of privacy and user data has always been a matter of concern. People share lots of personal data, through these apps on a daily basis. Thus, the safety of their data becomes the most important issue for them. The Central government realized this and even came up with new norms for apps like, WhatsApp, Snapchat, etc. These rules were set, keeping in mind the importance of protecting and sharing user data. Touching upon this subject, Amnesty International conducted a survey to find out the most secure app, there is. It evaluated the privacy and security information of 11 firms, for this purpose. The companies under scrutiny were the ones with the most popular messaging apps. These included WhatsApp, Facebook Messenger, Skype, Snapchat, etc. Based on the information provided, it created rankings for these firms. The rankings were, further compiled into a report. The final results of the report were quite fascinating. 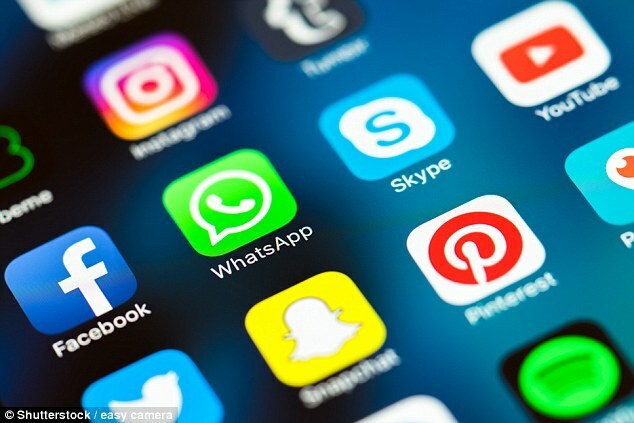 According to the report, WhatsApp and Facebook Messenger were declared as the most secure apps. 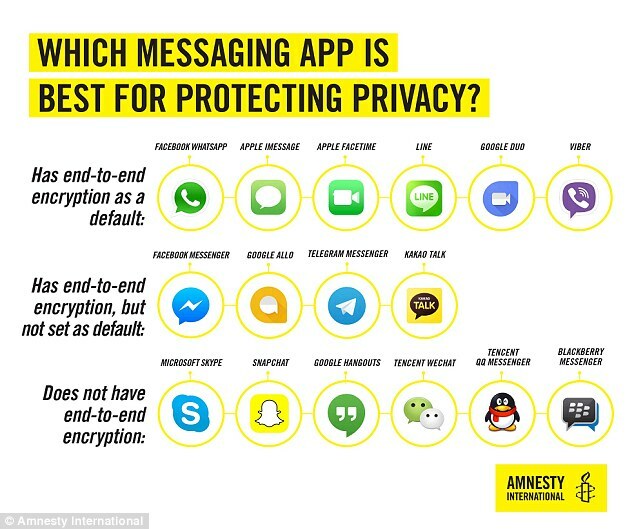 Amnesty International saw that these apps were best at protecting the user’s privacy and their freedom of expression. They were given the same score of 73/100; the highest among all the apps. Apple came close to them, by scoring 67/100. While preparing this report, Amnesty International abstained from taking a safety test of each app. Instead, it based its results on factors like end-to-end encryption and the default settings of the messaging apps. It studied which of the apps started by default and were protected by end-to-end protection. And after a thorough examination came to the following conclusion. It found out that both WhatsApp and FB Messenger used end-to-end encryption. And, only WhatsApp started by default. That’s why they were the top contenders for being the most secure apps. Amnesty also clarified later, that its rankings were totally subjective. It had no intention of endorsing any particular app for, ‘journalists, activists, human rights defenders or others at risk’. It also revealed that it had approached Google, Tencent and Blackberry for the survey too, but they didn’t respond at all. That’s why they were excluded from the report. Electronic Frontier Foundation (EFF), was quite skeptical of Amnesty’s report. So, it came up with its own take on the most secure app. It presented a report, in which it expressed its doubt on WhatsApp, being the top-rated app in the category. It brought to everyone’s attention, WhatsApp’s involvement of unencrypted back-ups for messages. It said that the app sent unencrypted chats to the cloud. None of the messages were being protected. It also brought up the issue of WhatsApp’s recent policy of sharing user data, with its parent company Facebook. The EFF highlighted several major issues, but at the same time, it also provided some solutions. It advised WhatsApp to make its user interface slightly intelligible. This could help the user switch to privacy settings, in one go. It further asked the firm to specify what content will be shared with Facebook, and how will it prove beneficial. EFF’s take on the most secure app is definitely a game-changer to Amnesty’s report. Its speculation about WhatsApp and suggestions on how to make it even better have given a new perspective to the latter’s evaluation. It will be interesting to see, which report will be preferred by the users, now. Will they agree with Amnesty’s result, or change their minds like EFF? Thanks for sharing your ideas over the Whatsapp. It is must however, we can share information through what apps easily.